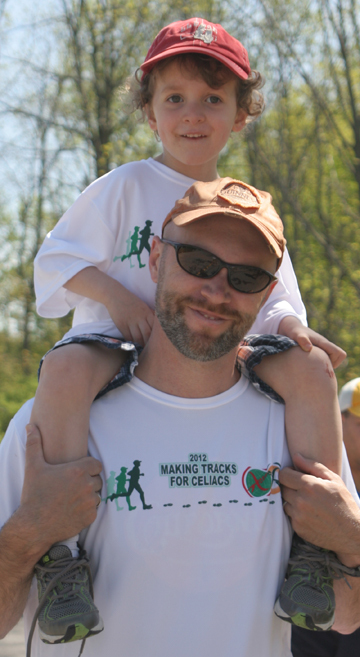 This past weekend my family and I participated in “Making Tracks for Celiacs” along with extended family and friends, most of whom join us every year for this event which means so much to us. We have been doing this twice a year for almost 5 years now — forming a team for the Buffalo walk and going just as a family to the Rochester walk. This is the 11th year for “Making Tracks for Celiacs,” which is an annual fundraising event, organized and managed by the Center for Celiac Research at the University of Maryland. These events around the country have raised almost $2,000,000 to date. The money is used to increase awareness and support research (75% of funds) as well as national and local celiac projects (25% of funds). Currently there are annual events held in these states: AL, FL, KY, MD, MI, MO, MN, NY, OH and VA, and are usually planned by a local gluten-free diet support group such as the one I belong to. Check out the main website for “Making Tracks for Celiacs” to learn which cities hold events, which locations are walks versus run/walks, and how you can get involved! Some will be happening soon but others aren’t held until Autumn, which leaves you plenty of time to put a team together — or just enter yourself and/or your own family. 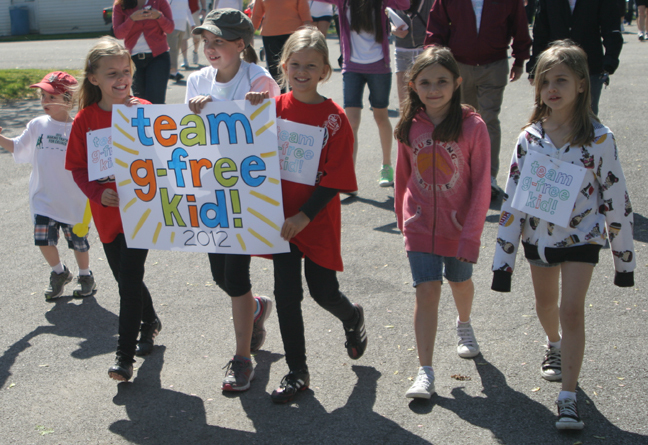 We choose to get a local team together because it is a really great way to show support and love to g-free kids, and it’s important for them to see the “regulars” who attend and donate year after year. It’s cool to show them how the numbers don’t dwindle off, either — this year we collected the most money we ever have, and had more walkers than any other year, including many who join us annually. 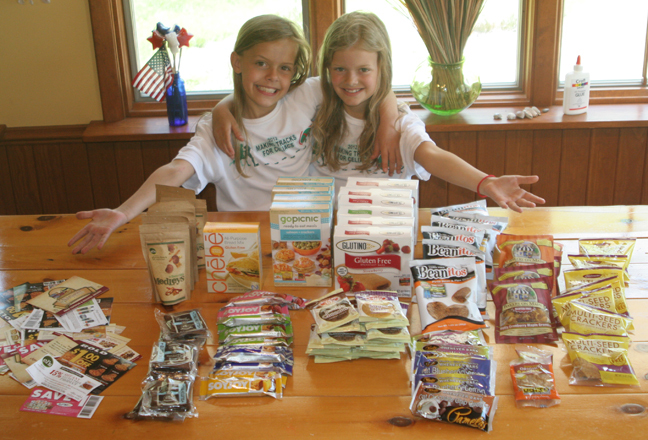 My girls know they are not forgotten and that they are backed by many friends and loved ones on their gluten-free journey. It’s something they look forward to every year. 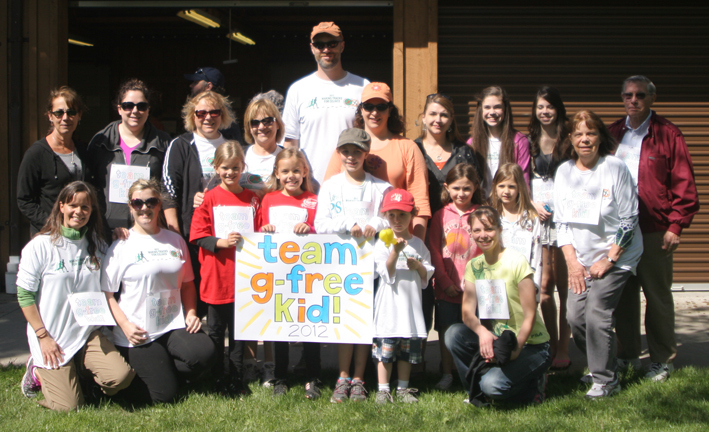 Our team this year was called “Team G-Free Kid” and together we raised $545 to donate to the Center for Celiac Research, along with entry fees paid by over 20 team members. 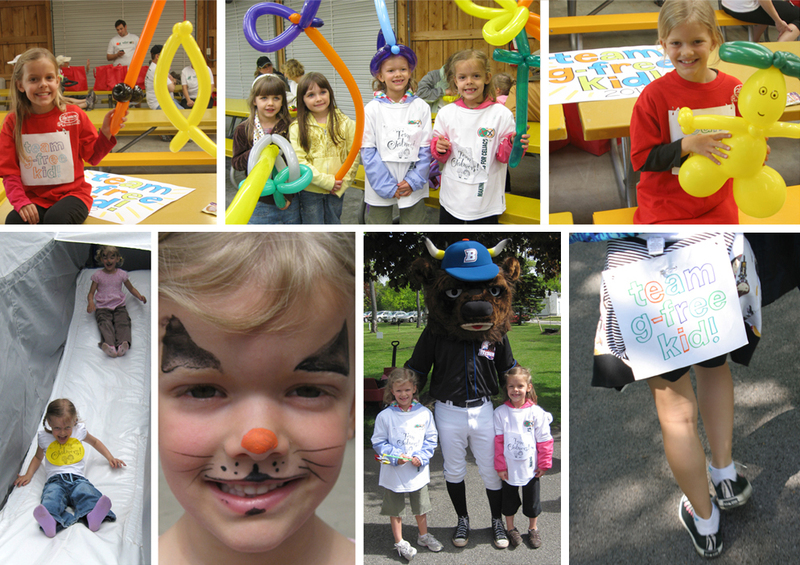 Even though that seems like a lot to us, other “go-getters” have already collected thousands of dollars each for their teams! 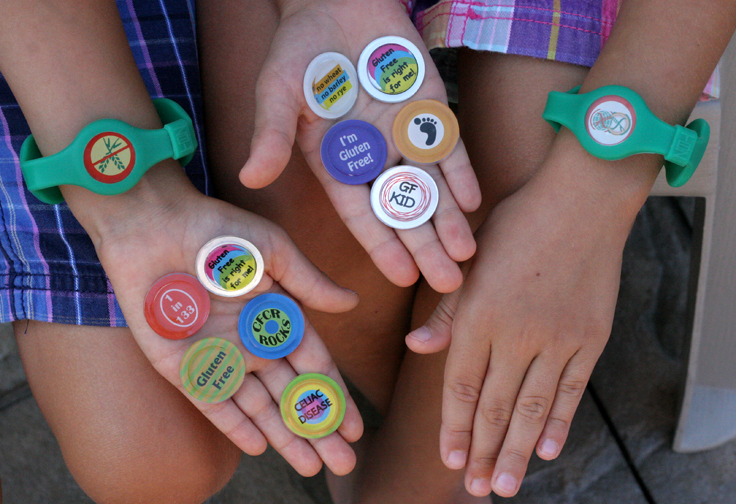 If you’d like to collect donations (it’s not mandatory) you can easily start your own personal donation page or team page through CeliacWalk.org, and email your friends and family about it. Registration is simple as well. Everything you need to know is in the green column on the lefthand side of that site. For the first few years, Morgan was the star of our team, but now Lindsey shares the spotlight, too, since she’s been gluten-free for over a year now. We also had a newly gluten-free and casein-free friend (below) and his family join our team for the walk this year, plus dozens of other kids in attendance. Wonderful, Christy! Please keep track of the steps you took to get it started and let me know how it’s going once you start. Maybe I could post your write-up of your whole experience to help inspire other people to start new groups as well. Can’t wait to hear more about it some day!